Hey there! 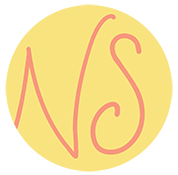 My name is Nicole and I'm a launch strategist + tech guru who helps women grow their online businesses! Everyone loves a good free resource. Click here to access the exclusive tools I created to help grow your business. Click here to find out about the different programs I have available to help you be successful with your business. I also offer a variety of done-for-you tech packages and 1:1 support services customized for your personal needs. As women we truly can have it all! We deserve to be ridiculously happy but it certainly doesn't need to be as difficult as we so often make it. My mission is to help other smart and motivated women create lives they love without the stress and overwhelm. I'm here to share exactly how I've done this and you can too!